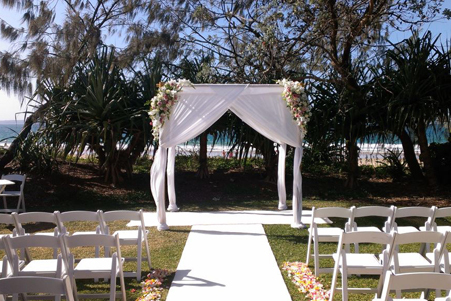 Noosa is perfect all year round for outdoor wedding ceremonies. And pretty canopies are increasingly popular. They can transform a natural outside space into something quite magical. Whether covered in lace or muslin, decked with little posies, beach shells or more grandiose floral arrangements, they can add something very special to the sense of occasion. And, of course, there’s a bonus: they provide a nice bit of shade for the wedding party. I just recently discovered that canopies are a major component of the Jewish wedding tradition. Jewish couples are usually married underneath a special canopy known as a chuppah (or huppah). The chuppah also has a wonderful little ritual attached to it: when the bride enters the chuppah, she circles the groom seven times, holding hands with her mother and future mother-in-law. The number seven is also considered to be good luck as the Jewish faith teaches that the world was created in seven days. Another practical Jewish wedding custom that I think all couples should embrace is for the bride and groom to be given ‘seclusion’. Traditionally the couple, immediately after the ceremony, is escorted to a “room of privacy” to be left alone for a few minutes. These moments of seclusion signify their new status of living together as husband and wife. I sometimes worry that many brides and grooms fail to have any quiet time on their own on their wedding day. So, think about having some precious time together on your wedding day. 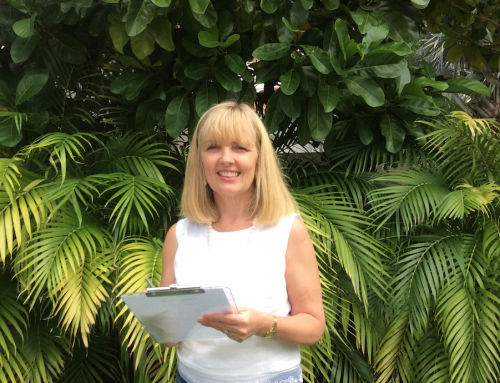 Go into a quiet room or take a short walk on the beach. No-one will bat an eyelid if you both disappear for seven…..or maybe seventeen minutes.